Emporio Armani for men and women lead a modern lifestyle and want to dress with a sense of casual sophistication. The whole collection, from daywear to evening wear to accessories, has a youthful spirit. Emporio Armani Orologi reflects this approach with modern shapes and materials balanced with a classic style. 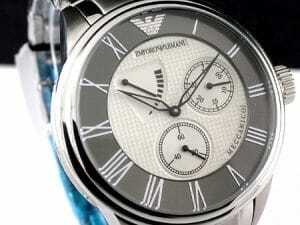 Emporio Armani watches collection offer trademark elegance and superior design. Classic style made modern. A watch tells more than just time, it reveals something about the wearer..